My son likes pancakes so much that he started calling weekends "pancake days" when he was six; he'd eat these every day if he could. 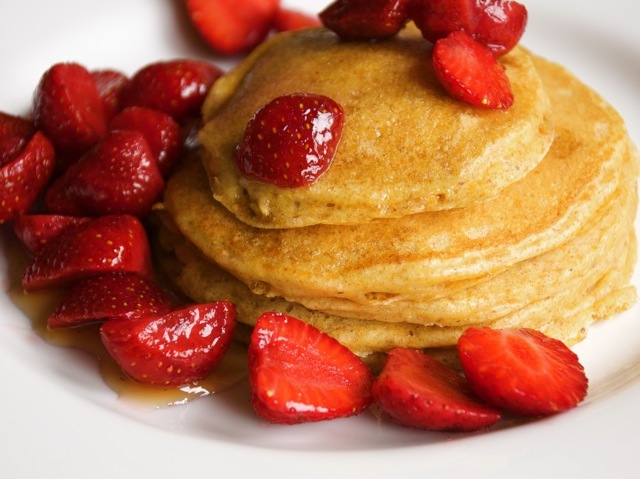 Add blueberries or sliced bananas to the individual pancakes once you've spooned the batter into the skillet, or serve with sliced strawberries. In a medium bowl, mix together the dry ingredients. In a separate bowl, whisk together the eggs, oil, and buttermilk. Mix the wet ingredients into the dry with a few swift strokes, until just mixed together. Place a nonstick skillet or griddle over medium heat. Using a ⅓ cup measuring cup, scoop and pour batter into the skillet or griddle. Once bubbles have formed on surface, flip pancake and cook on other side. 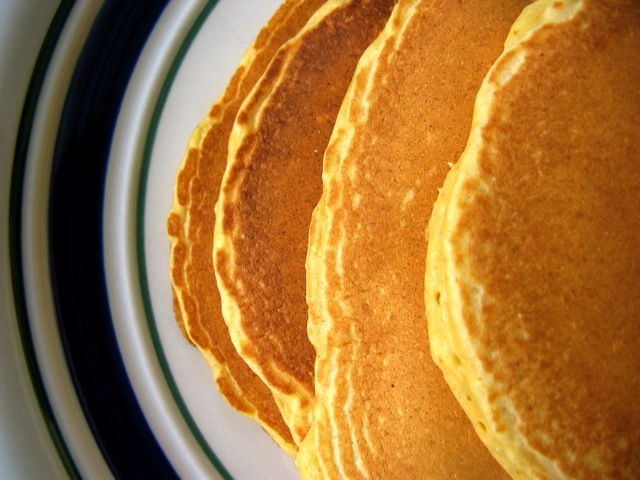 Keep cooked pancakes warm on a baking sheet in a 200-degree oven. Serve warm with butter and maple syrup. Flaxseed meal can be found in the baking section of your grocery store. If you have whole flaxseeds, grind two teaspoons with a propeller grinder to approximate flaxseed meal. You can substitute milk mixed with yogurt, sour cream, or crème fraîche for the buttermilk. Use 1/2 to 3/4 cup yogurt, sour cream, or crème fraîche mixed with 1/4 to 1/2 cup milk.